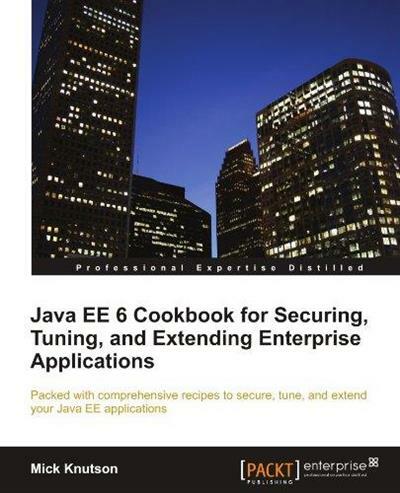 Java EE 6 Cookbook for Securing, Tuning, and Extending Enterprise Applications | Free eBooks Download - EBOOKEE! Posted on 2014-06-15, by supnatural. This book covers exciting recipes on securing, tuning and extending enterprise applications using a Java EE6 implementation. The book starts with the essential changes in Java EE 6. Then we will dive into the implementation of some of the new features of the JPA 2.0 specification, and look at implementing auditing for relational data stores. There are several additional sections that describe some of the subtle issues encountered, tips, and extension points for stating your own JPA application, or extending an existing application. We will then look into how we can enable security for our software system using Java EE built-in features as well as using the well-known Spring Security framework. We will then look at recipes on testing various JavaEE technologies including JPA, EJB, JSF, and Web services. Next we will explore various ways to extend a Java EE environment with the use of additional dynamic languages as well as frameworks. The book then covers recipes that touch on the issues, considerations and options related to extending enterprise development efforts into mobile application development. At the end of the book, we will cover managing enterprise application deployment and configuration, and recipes that will help you debug problems and enhance the performance of your applications. This book is part of Packt's Cookbook series. A Packt Cookbook contains step-by-step recipes for solutions to the most important problems you face when working with a topic. This book is aimed at Java developers and programmers who want to secure, tune and, extend their Java EE applications. No comments for "Java EE 6 Cookbook for Securing, Tuning, and Extending Enterprise Applications".